Look around your office. More than half the people you see may be looking for a new job. A Harris Poll in Indeed’s Talent Attraction Study found 71% of those in the labor force say they are looking or open to a new opportunity. This is indicative of an empowered workforce. With a breadth of job boards, research tools, headhunters, recruitment agencies and career coaches ready, willing and available, the options seem endless. The reality is that most people land jobs when resorting to good, old-fashioned networking. “At least 60%—some report even higher statistics—of all jobs are found by networking,” career consultant Alison Doyle writes at The Balance. It’s imperative to make networking a lifelong commitment. At a certain point in our lives and careers we can easily become complacent in our roles and surroundings. We need to be sure to make an effort to invest personally, professionally, intellectually and socially in those individuals strategically placed in our path. After college, I entered the workforce with a personal commitment to invest as much in the people I encountered as in the job itself. Whether your career has brought you to a brand, a PR agency or you're an independent practitioner, the collegial relationships you build as a result of networking can prove invaluable. As communicators, we excel at building rapport, engaging our connections and clients and leveraging established relationships. We carefully nurture these relationships as a natural course of business. Networking to gather intelligence may provide a competitive advantage, especially as silos between PR and marketing continue to dissipate and the PR industry evolves. You’ve established and amassed a plethora of contacts and added them to your smartphone and LinkedIn profile. These are virtual connections, courtesy of communications technology; however, what is your level of engagement with them? Have you reached out to contact them or do they receive an occasional automated notification when you’ve refreshed your profile? 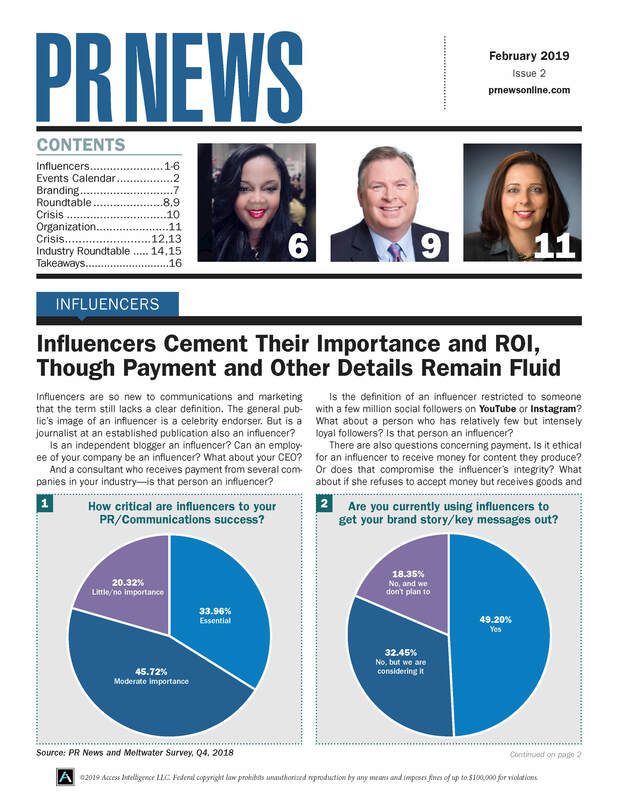 Why not be creative and differentiate yourself with a personalized, quarterly digital newsletter? There’s a good chance you’ll be more effective in soliciting thoughtful feedback and fostering deeper, real-life dialogue. Try to avoid sending a standard, generic distribution to your entire contact list. Instead, make time to tailor your list. Address contacts by referencing the capacity in which you worked together, scenario in which you partnered or insight they’ve helped provide you. By mid-career, you are (or should be) a member of a professional industry or trade association that provides access to enhanced skills development, seminars, conferences or local chapter meetings and events. If not, it’s time to join. Use these forums as your next opportunity to be in the moment, unplugged from your laptop and smartphone and be truly present—especially in a room full of strangers. Networking is merely a continuum of the lifelong collection of conversations and interactions that stem from a lunch, dinner, social invitations, backyard barbeques, volunteer activities, religious and community organizations and continuing education seminars. Such settings organically lend themselves to the potential for connection and interaction. They are just another forum or venue that can present an opportunity to practice and enhance your communication skills. Experiential, in-person communication evokes emotion and enthusiasm. It can set the tone for more authentic conversation where you share your sphere of influence. Networking becomes most successful when you empower your connections and contacts and portray and articulate a clear image of your brand. You become an expert self-marketer by blending available digital talent solutions and resources with innate abilities and soft skills. When discussing career aspirations, be prepared to communicate specifics such as the types of opportunities you would consider, concrete objectives and tangible ways in which the person may be of assistance. You also may be looking for professional introductions that lead to alternative employment, part-time, consulting or perhaps contract opportunities. Whatever the goal, your demeanor, persona and candor make you a walking business card. Be certain to practice and perfect your 30-second commercial. This is your advertisement, that perfectly succinct summation of your professional achievement, translatable skill set, strengths and objectives. You exemplify your brand, so exude talent, confidence and credibility. You’ll find throughout the years that your coalition of contacts, peers and industry leaders are equally as engaged and invested in your success. When you make a conscious effort, lifelong networking breeds mentors, advocates, references and, sometimes, future employers. These individuals will most likely prove themselves to be your strongest proponents, greatest supporters and closest allies, offering an unwavering show of support.